Pacific Equity Partners has sold Griffin's Foods to Universal Robina Corp for $700 million. 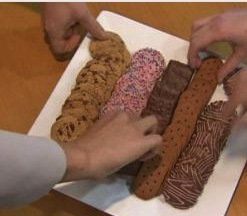 The sale comes after the Australian private equity firm pulled out capital from its investment and saddled the New Zealand biscuit maker with debt last year. Accounts for NZ Snack Food Holdings show the Griffin's holding company made a capital return of $192 million in a share repurchase in the same year PEP refinanced the maker of Gingernuts, Mellow Puffs and Huntley & Palmers crackers and Eta brand snacks. The group had interest bearing debt of $442.4 million as at December 31, up from $234.6 million a year earlier, according to financial statements lodged with the Companies Office. NZ Snack Foods reported a 75 percent slump in profit to $5.1 million in calendar 2013, as its finance costs climbed by more than half to $23.8 million. Revenue fell 4.3 percent to $280.8 million. Gross margins were largely unchanged at 53 percent. Operational cash inflow more than doubled to $34 million, and the group held cash of $34.8 million as at December 31. The deal is subject to Overseas Investment Office approval, and ends PEP's eight-year ownership of the snack foods maker. Chief operating officer Alison Taylor will take over as chief executive once the sale if completed. "We believe Griffin's is a natural strategic fit to our existing snack foods portfolio given its strong brand heritage in New Zealand - a country trusted worldwide in having high credibility when it comes to food quality, safety and authenticity," URC chief executive Lance Gokongwei said in a statement. URC is a Philippines-based food and beverage company.